mytaxi, Europe’s largest taxi e-hailing app, today announces its expansion to Edinburgh – the first Scottish city to join the family. mytaxi is celebrating the announcement with a 1/3 off discount for all Edinburgh passengers until the end of June. The launch marks the second city in a regional roll out set to continue over the summer.In partnership with Edinburgh City Cabs, the launch will provide not only skilled and knowledgeable drivers but a guarantee of safe, reliable, convenient and cost-effective travel for Edinburgh’s residents. Supporting and promoting local licensed taxi drivers is fundamental to the mytaxi culture as the business seeks a central role in Edinburgh’s integrated transport system. Hannah Soll-Morris, Head of Operations and Expansion at mytaxi, commented: “We couldn’t be more excited to launch our first Scottish City by partnering with the leading operator in Edinburgh. The city is outstanding for a whole host of reasons; the beautiful architecture, the thriving business community and the exciting events calendar just to name a few. We've had an incredibly strong start to 2018 by both expanding our London business and launching in Nottingham and we’re thrilled to continue to extend our UK footprint with such an iconic city as Edinburgh. 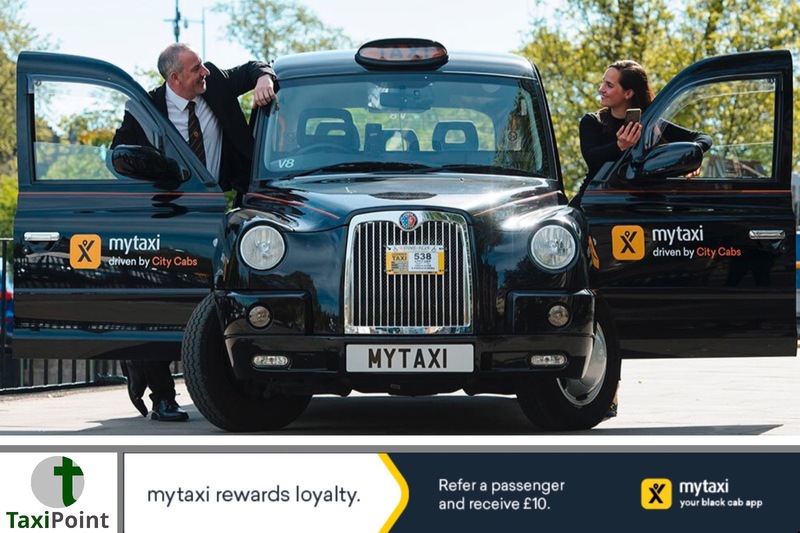 We hope that by partnering with City Cabs, mytaxi can help you experience everything the Capital of Scotland has to offer in a safe and seamless way”City Cabs Chairman, George Aird commented: “The launch of the mytaxi app in Edinburgh is an exciting prospect for our drivers. Working in partnership with mytaxi will give us access to a readily available European customers base. It’s also great to see an investment in the knowledge and skills of black cab drivers within Edinburgh”. mytaxi is the leading e-hailing app in Europe, available in over 75 cities within 11 countries. Four mytaxi trips are accepted every one second around Europe through the network of over 120,000 drivers and more than ten million downloads. mytaxi sets itself apart from competitors by investing in its drivers, who are not only skilled and experienced behind the wheel but host a wealth of local knowledge of the areas in which they operate.